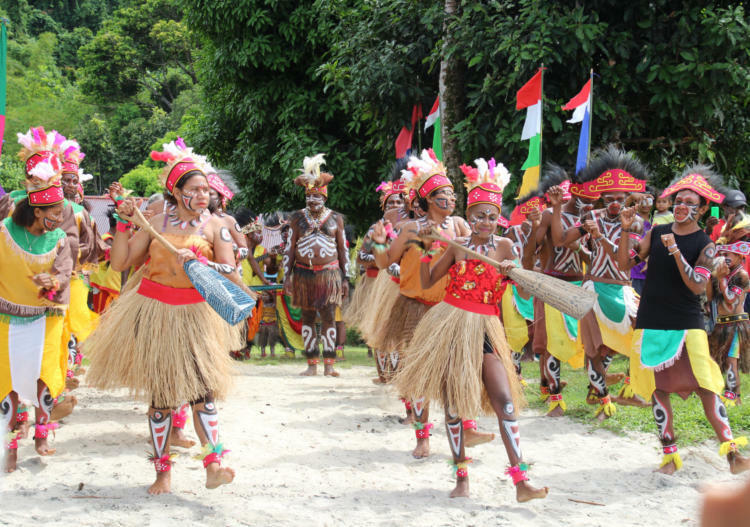 Our cruise started in Biak, a small island located in Cenderawasih Bay near the northern coast of Papua and is just northwest of New Guinea. It is the largest island in its small archipelago. 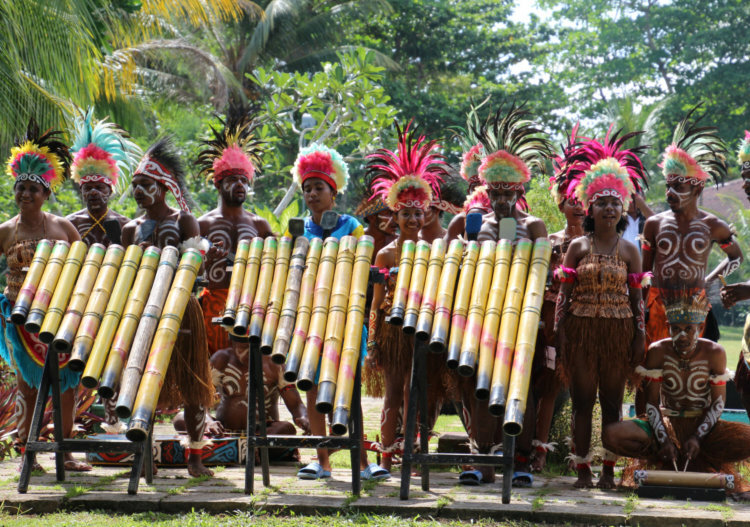 Upon arrival we were taken to an historic hotel for lunch and were treated to a cultural dance and traditional large pipe music. Then the local guides took us to the Binsari Caves where 3000 Japanese soldiers died during WWII. The Americans spotted them from the air and when the Japanese went into the caves to hide, the Americans bombed above the caves and killed all those inside. The huge hole into the cave is surrounded by remnants from the war – old tanks, bombs, helmets, etc. We entered the marine life haven of Cenderawasih Marine Park and sailed to the south of the Bay. Cenderwasih Bay is seldom visited by large cruise ships and it too far away for the liveaboards that sail out of Sarong. 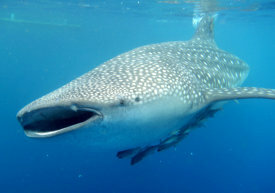 Excited to see the whale sharks we soon heard that they had been seen at a local bagan (fishing platform lift-nets). We set off at 7am to see the Whale Sharks, the biggest ﬁsh in the sea. They are truly magniﬁcent and it was an amazing, awe-inspiring, wild life experience to be snorkelling in the water surrounded by six huge whale sharks slowly swimming around just below our fins. For 3 hours we snorkelled and watched them as they came up to feed off the small sprats thrown in by the local fishermen. This bay is one of the few places in the world where it’s possible to snorkel with these majestic animals. We spent the afternoon with the local Papuan people at Kwatisore village (375 inhabitants). We were welcomed with music and a wonderful dance ceremony called the Birds of Paradise dance and then watched a special dance by an amazing young boy. We had a guided tour through their village and bought hand made goods from their market stalls. The Islanders don’t get many visitors – only our ship four times a year.